ALL INCLUDED: Our Jackets comes with a Lanyard and two free canisters! Everything you need to get started. The Hunter utilizes the same air bag and coverage as our ProAir vest but gets secured by a zipper instead of buckles. This refines the silhouette without changing the comfort or protection. We did this in response to riders who wanted a more fashionable vest, but still wanted top-level safety features. 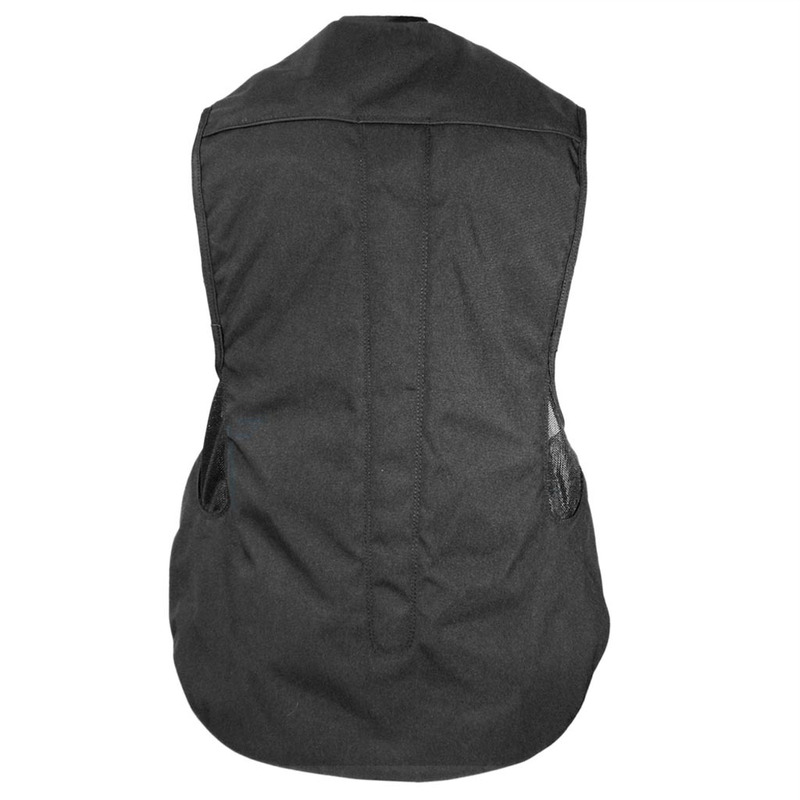 The Hunter comes with a pleated neck allowing for optimal inflation times and protection from neck and collarbone injury and an extended shirt tail to protect lower back, kidneys and coccyx. We reccomend using a Hunter Air Jacket if you ride a Western saddle. Our Hunter jacket does not require you to wear a body protector, it provides you with full protection on its own! 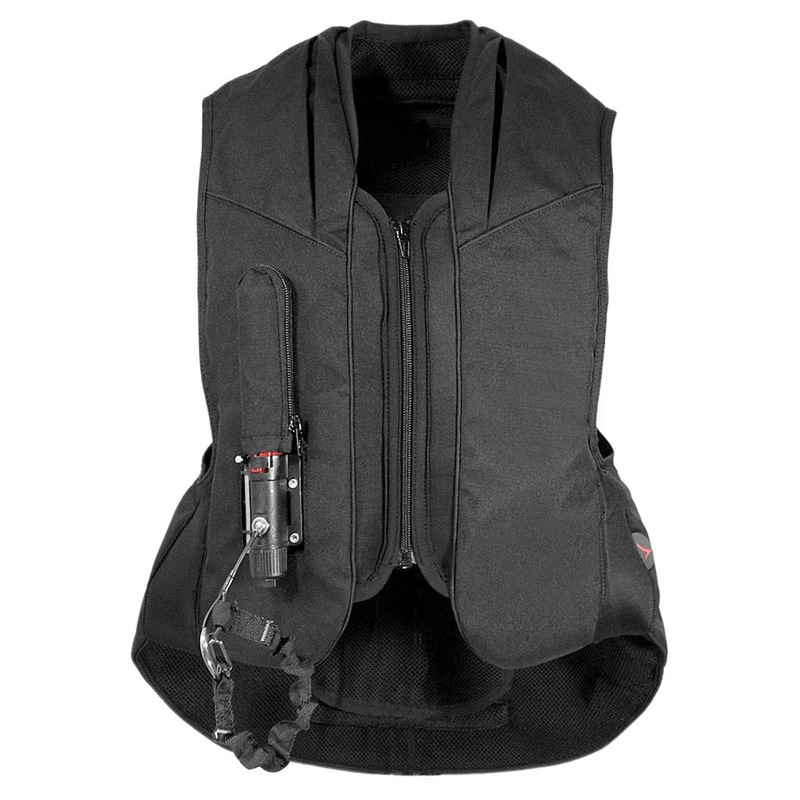 Our vests have tested to be as effective as a typical body protector. See our safety page for more information on certification. I literally owe my life! I literally owe my life to Point Two Air Jackets. I had a horrific fall in 2013 and doctors said my air jacket saved my life! I can’t recommend them enough! I like to utilize all of the cutting edge technology when I go cross-country," said Karen O'Connor. "I can't even imagine anymore going cross-country without my Point Two vest; I just love it. For me Eventing is all about confidence and when I have my Point Two on I feel like I can be thrown out of an airplane and be okay. Watch our Jackets in action! Our jackets save lives on a daily basis. Check out some of the videos we have, where our jackets have prevented serious injury! Lets find your perfect fit! What is your chest measurement? Nape of neck to the tail bone?